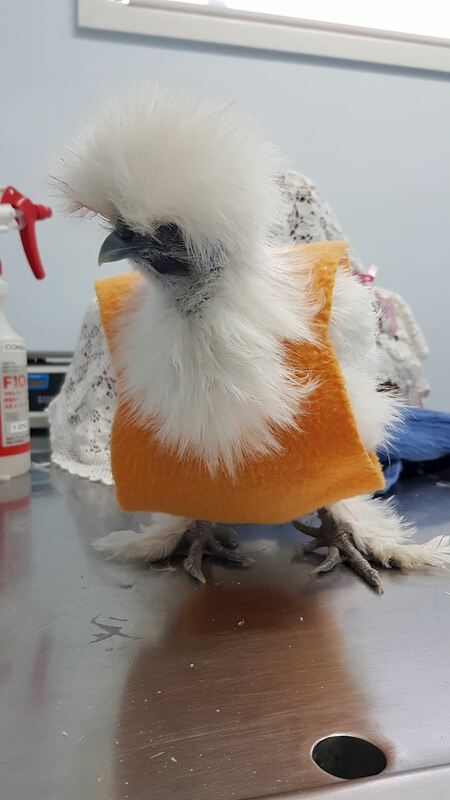 10 Great Bird Care Tips from an experienced avian vet. 1) Seed diets are inadequate and can result in obesity and fatty tumors, among other illnesses. Sunflower seeds have more fat in them (percentage wise) than Mars Bars! Ideally they should be fed a high quality parrot pellets/crumbles, specific for your breed of bird. They should also be given fresh foods such as fruit and vegetables, nuts, fresh browse and grains every day. Do not feed avocado, chocolate, alcohol, onion or fatty/salty 'human' foods. 2) Please consider your birds feet! Birds can not sit down to rest their aching legs and feet. Their whole lives are spent standing up on the perches you provide them. Older birds can develop arthritis from bad perches, and all birds can develop bumblefoot. Please do not use the commercial concrete/sandpaper perch covers as they increase the risk of foot ulcerations and do not significantly reduce nail length. Discard doweling perches. Use natural branches with a variety of widths that help to prevent foot ulcers and arthritis. Avoid using Rhododendron, Oleander, Azaleas and Hydrangea as replacements. The best type of branches to use are from native plants such as bottlebrush, eucalyptus, grevillea, banksia etc. You should aim to have branches of differing widths, from small ones that the birds whole foot can go around, to wider ones that the foot rests flat on. The highest perch should be a wide one as this is the one the bird will probably decide to perch on at night - best not to place food or water bowls under this one! These branches will be chewed and end up messy. Don't bother to clean them, it's much better to get out there and find some new ones to keep them happy and healthy! 3)The cage is important. The more space the bird has the better. Long cages are better than tall cages as they give the bird more usuable space to exercise, as well as more room for you to enrich the environment! Be sure to get a powder coated cage, as galvanised metal can cause heavy metal toxicity in your bird. Cover floor with newspaper as this is the most hygienic. Change paper daily as seed and grit can act as a growth medium for bacteria. 4) Change water daily as bacteria can multiple quickly in water. 5) The average budgie will live 7-9 years, canary 6 -8 years, cockatiel 15 - 20 years, finch 5-8 years and love birds 10-15 years, but with good diet, husbandry & health care small parrots can live longer, and large parrots even longer! Remember this as you look at your birds life, is the nutrition, social life, mental and physical activities you are providing sufficient? Think about it from your birds point of view! Keep the stress low ! 6) Keep birds out of fumes - like smoke, aerosols. 7) Bathing your birds is essential for their feather quality. It also provides a release of energy for the bird, as well as a nice change of scenery. Some birds enjoy a spray bottle bath, others like to get under the kitchen tap, some in the shower with or without their people, others in a big container in their cage. Experiment with your bird and see how many different types of bathing he likes! 8) Your bird needs quiet time each night. Have a thick cover for your birds cage and place him in a quiet room to go to bed. Birds who have long daylight periods are more likely to display sexual/breeding behaviour issues (such as regurgitating and other sexual behaviours towards owners or inanimate objects, chronic egg laying and territorial aggression) than those who are allowed to sleep peacefully for 12 hours each day (all year round). 9) Give them something to do! Birds need to chew, destroy and play all day every day. Be inventive with the way you present their food, instead of the conventional and outdated food bowl, use stainless steel kebab sticks to hang fruit and veges. Don't recycle all cardboard boxes straight away. Instead put them in your birds cage with some cashews, warm peas and corn or pasta so that they have to chew through the box to get their reward. Use your new perches to stick bits of fruit all over the cage so the bird has to hang upside down to get his apple, or fly to the other side before he can devour the mango. Put a whole passionfruit in so that beak gets a work out ripping it open. Be prepared for mess, but mess that means your bird has been busy and happy for the day rather than bored and depressed! 10) If you buy commercial toys, be sure that the only metal your bird has access to is stainless steel. Also be aware that the metals in jewelry are toxic to birds, so don't let them chew yours! Heavy Metal Toxicity causes seizuring, internal bleeding and death, avoid metals at all costs!